Active immunization against Aujeszky`s disease (pseudorabies). The vaccine is genetically marked (with gE-) which allows to differentiate between vaccinated animals and naturally infected animals. 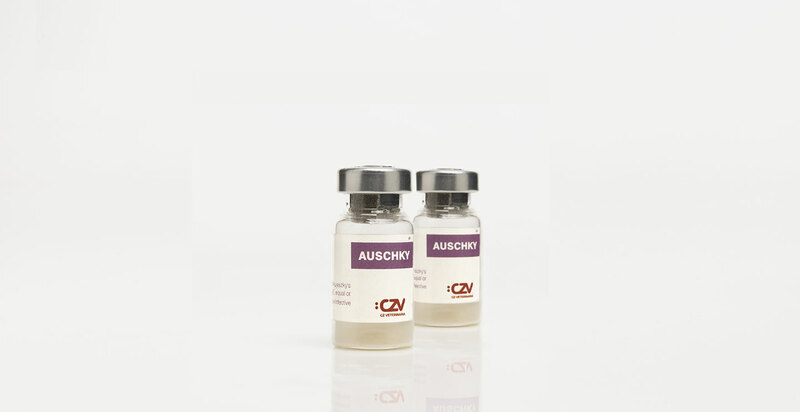 Each dose contains live attenuated Aujeszky`s disease virus, strain Bartha K-61, gE-, equal or higher than 105.5 CClD5O50 (Cell Culture infective Dose 50). Freeze-dried and diluent for reconstitution. Vials of 10 or 50 doses. 1st dose At the age of 10-12 weeks. 2nd dose 3-4 weeks after 1st dose. 3rd dose At the age of 6 months. Revaccination From 6 months, every 4 months until the animals leave the farm.